In southern Michigan we now have literally hundreds of cranes each year. 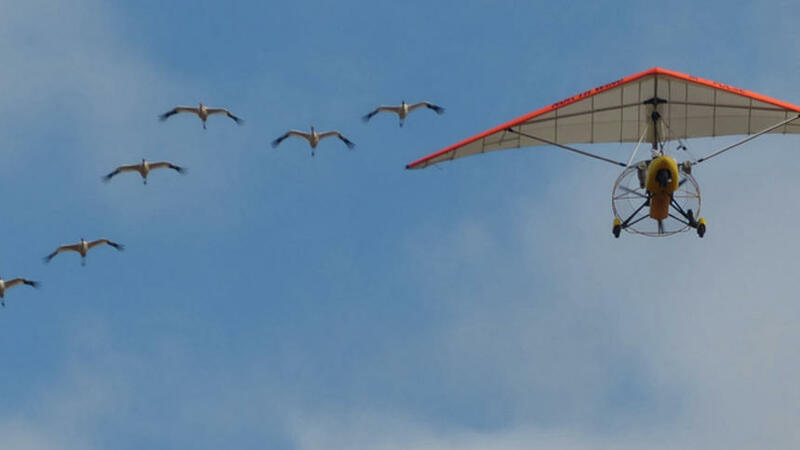 Is this article suggesting that these cranes will disappear now that this program is ending? Is this program the only reason that cranes return to southern Michigan each year? With little first hand knowledge of this and the above post, it seems to me the program was successful and simply worked itself to completion. The birds are fairly smart once they generate a migratory pattern. They may not go to FL after all, it depends upon where the food source is most plentiful. While growing up in Texas 30+ years ago you could never get closer than 300 feet to a Canada goose. They were wild and naturally skiddish. Here in Virginia, they wait at your back door for bread (I do not feed them). There seem to be two camps of Canada geese now. Those that truly migrate and those that do not and simply live in or near human population centers. Sometimes too much human interaction is not good. One of the issues here is most of our runways are near rivers, ponds and swamps. Often the migratory Canada geese will cluster on the end of a runway that has relatively warm pavement just after dark. So on landing when you see the numbers you also take a good look for black dots on the pavement. Sometimes hundreds. This usually occurs in late November or early December.